It seemed like it was just yesterday that Petchnongkhai was 30 kg and underweight for a 12 year old. Now at 14, he weighs almost 50 kg. His growth hasn’t only been in his obvious height but also in his power. As he gets bigger, he’s able to have more fight opportunities in Bangkok. Last month, he finally got to figure at the famed Lumpinee. Up until then, he was fighting on small local shows and had fought once at Rangsit. 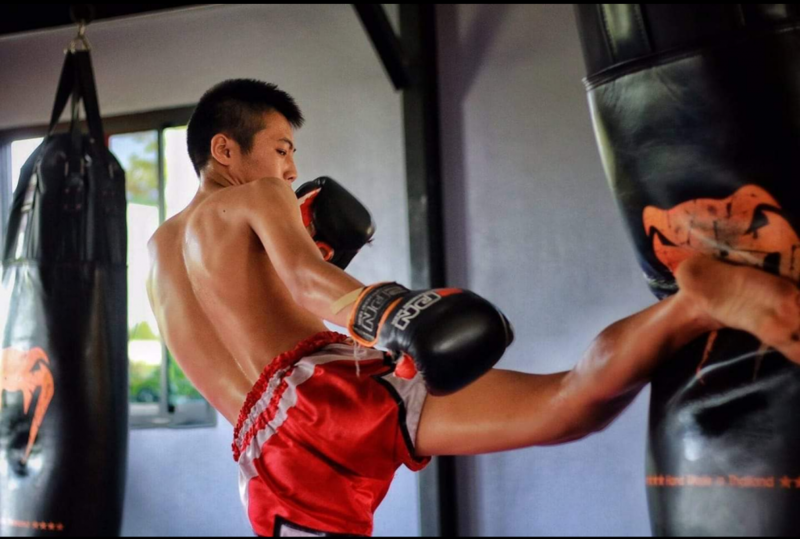 A Muay Khao with technician tendencies, he’s a great sparring and clinching partner for everyone. Everyone is surprised at his speed as well as his strength.